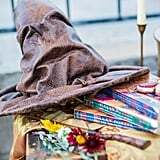 We all remember those iconic Gryffindor vs. Slytherin quidditch matches with wizards flying at high speeds and the large crowd cheering around them. 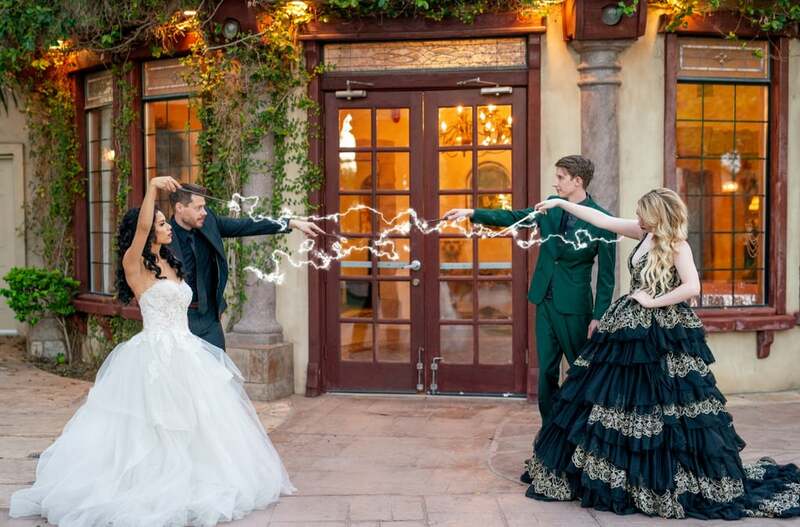 Well, photographer Kevin Lane did an amazing job capturing that competitive spirit between the Hogwarts houses in this styled Gryffindor vs. Slytherin wedding shoot. 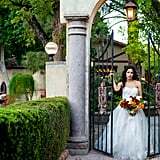 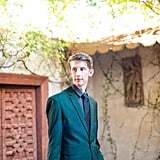 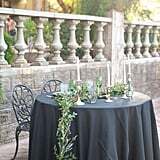 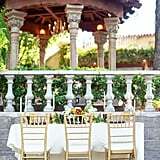 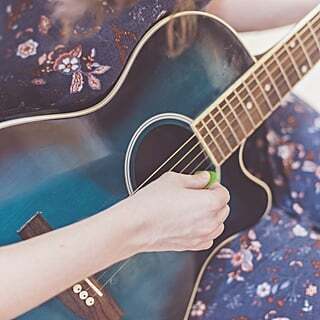 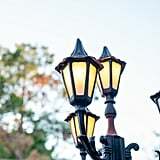 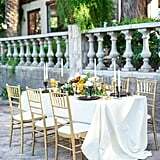 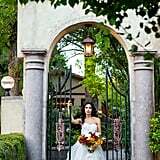 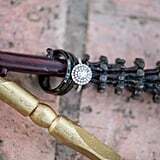 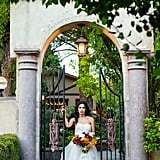 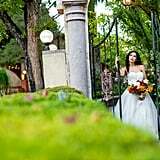 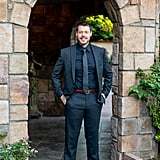 These stunning photos were taken at the Wright House in Mesa, AZ, which adds a rustic country charm to the photos. 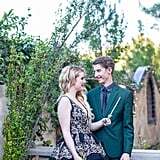 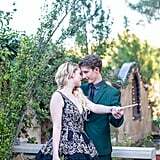 The most prominent reference to the Harry Potter saga in these photos would be the contrasting color palettes for each couple. 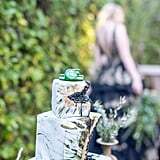 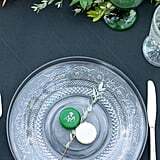 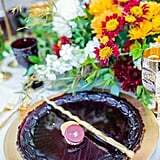 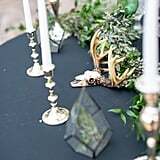 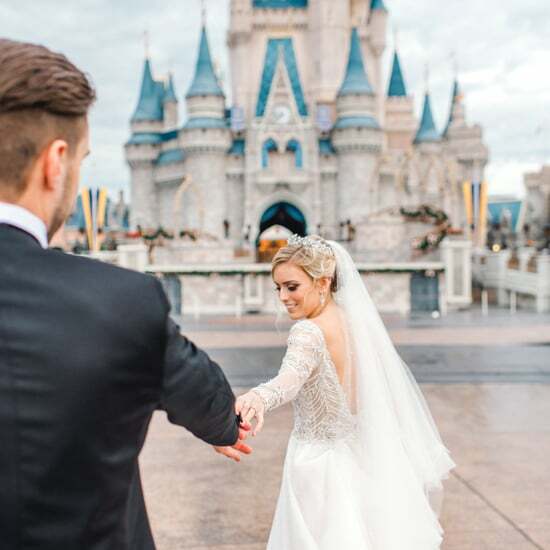 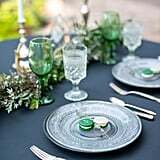 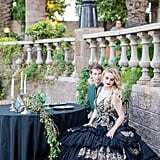 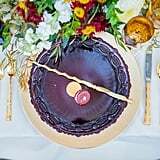 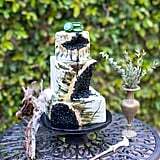 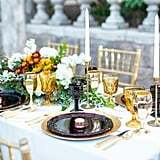 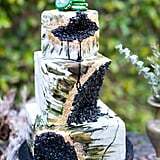 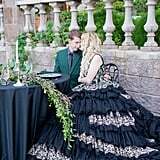 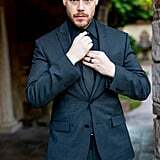 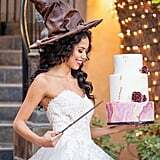 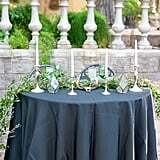 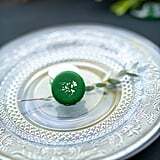 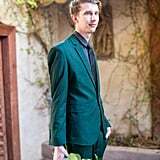 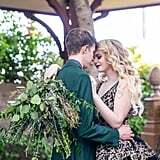 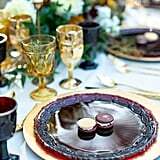 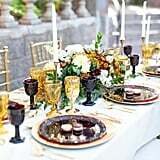 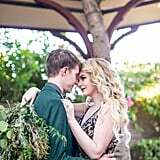 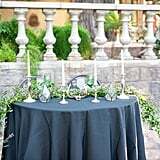 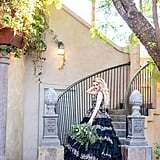 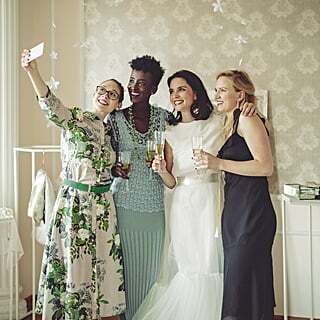 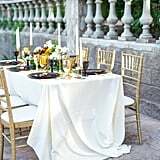 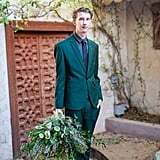 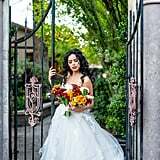 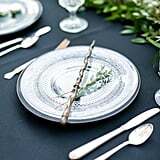 "In this stylized shoot you can see the darker side of a Slytherin wedding, which included a beautiful black geode wedding cake and a black and gold ruffled wedding dress. 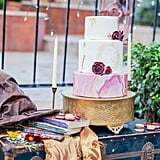 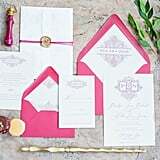 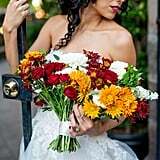 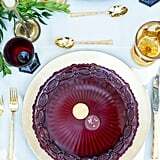 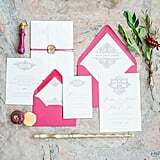 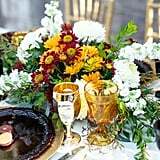 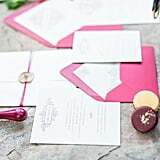 In the Gryffindor wedding, we used their house colors, which are scarlet and gold. 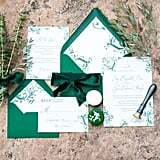 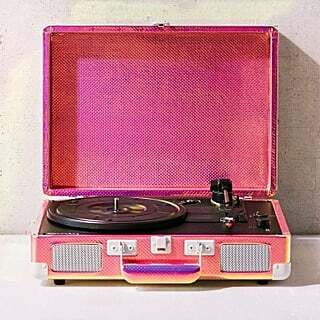 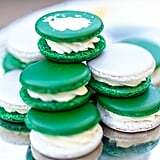 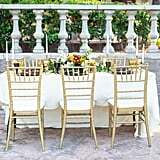 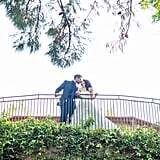 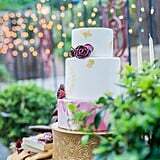 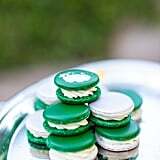 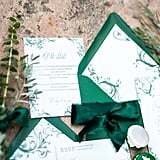 The wedding cake included both of these colors as well as the emblematic animal, the lion," said Kevin. 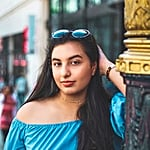 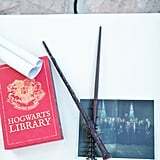 There are many more Harry Potter references embedded in this shoot, for instance the Slytherin wand is modeled after the one Voldemort used, while the Gryffindor wand is modeled after the Elder Wand, which was used by Dumbledore for a majority of the franchise. 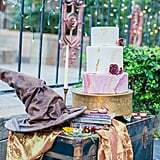 The sorting hat also makes a small appearance in these photos and surprisingly matches very well with a white wedding dress. 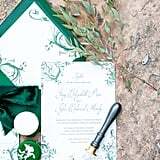 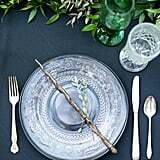 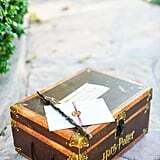 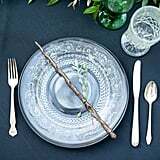 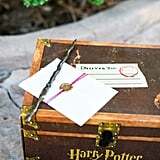 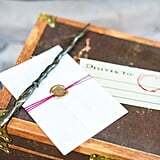 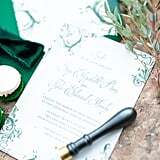 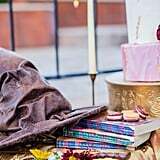 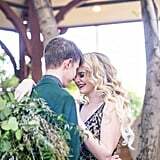 Browse through these pictures, and look out for more hidden details in this gorgeous Harry Potter wedding!